In this new space we discover the city’s relationship with the world from 1800 to 1939. By means of a new museography, enhanced with videos and sound effects, hundreds of works are displayed providing a reminder of Bordeaux’s rich heritage: paintings, sculptures, drawings, artefacts and everyday objects, posters, films, etc. 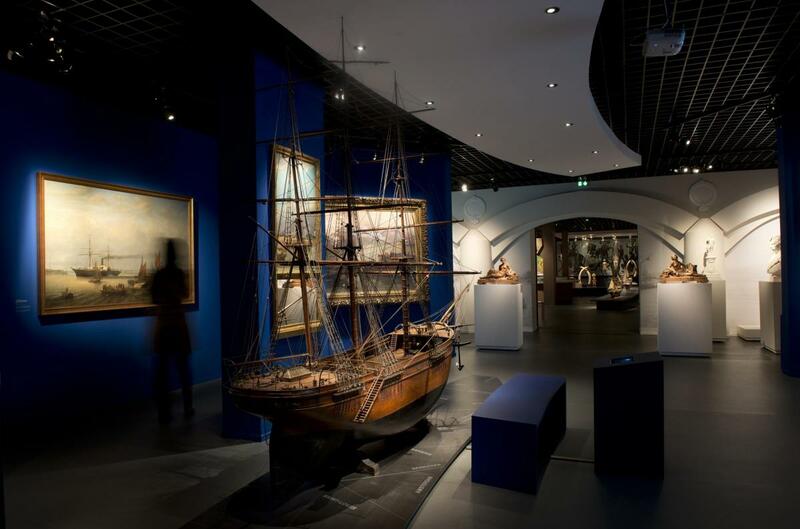 An area dedicated to the turmoil of the French Revolution provides a transition into the rooms opened in 2009, displaying “Bordeaux in the 18th century, Atlantic trade and slavery”. Although intercontinental relations were very much affected at the beginning of the century by the loss of Saint-Domingue and maritime wars during the Revolution and the Empire, they were gradually re-established. The port became the driving force behind the city’s economy, with major improvements being made, the growth in trade, the golden age of the railways and shipbuilding. Bordeaux trade strengthened its activities with the Americas and northern Europe and established many links with the colonies: northern and sub-Saharan Africa, the French West Indies, Indochina, New Caledonia and China. This dynamism had a tremendous effect on the Bordeaux economy and the development of food industries transforming products from the colonies. The city streets were vibrant with a world of street vendors, hawkers, and tradesmen. There was a very large working population due to the port and railway facilities and the wide variety of industries, which also attracted immigrant populations. And finally, Bordeaux underwent major urban development, with wide thoroughfares and the opening of the city ring road.